Situated in the heart of West Yorkshire, we provide a commissioned cut, make and trim service for tailors throughout the UK. Our garments are expertly crafted in Huddersfield – the home of luxurious fabrics – making our suits completely and truly 'Made in England'. Our goal is to work in partnership with British tailors to offer an unbeatable service for suit wearers throughout the country. English Tailoring Company is the British commissioned tailors. Our business is to manufacture expertly crafted garments for tailors throughout the UK. Made in England is a label of quality. A mark of heritage. An extension of our national identity. We’re proud to say that our tailoring supply chain stays here in England and never leaves the country–because we believe in keeping the British in fine British tailoring. 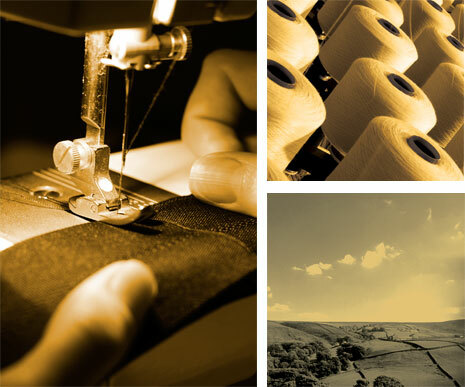 Find out more about our British supply chain. We created a short digital look book that gives you a brief overview of our company. Simply visit the link below to find out how to instantly access your free copy. Let us show you what we're really made of. Make an appointment with one of our technicians and arrange for them to make a visit. This will allow you to enjoy the full English Tailoring Company experience. Make an appointment for us to visit you using this handy form. Simply enter your details and we’ll be in touch to organise a visit.